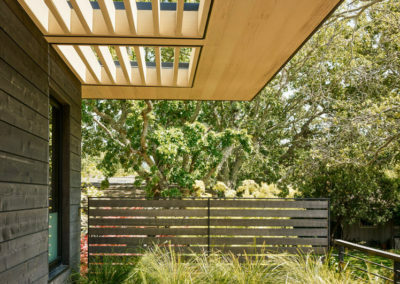 When the clients, a young family with two children, approached Feldman Architecture, they had already cultivated a deep familiarity with this Portola Valley site, aware of how the wind moves across the flat lot, where the light strikes in the afternoon, and the best vantage points to capture views of Windy Hill and the skyline beyond. 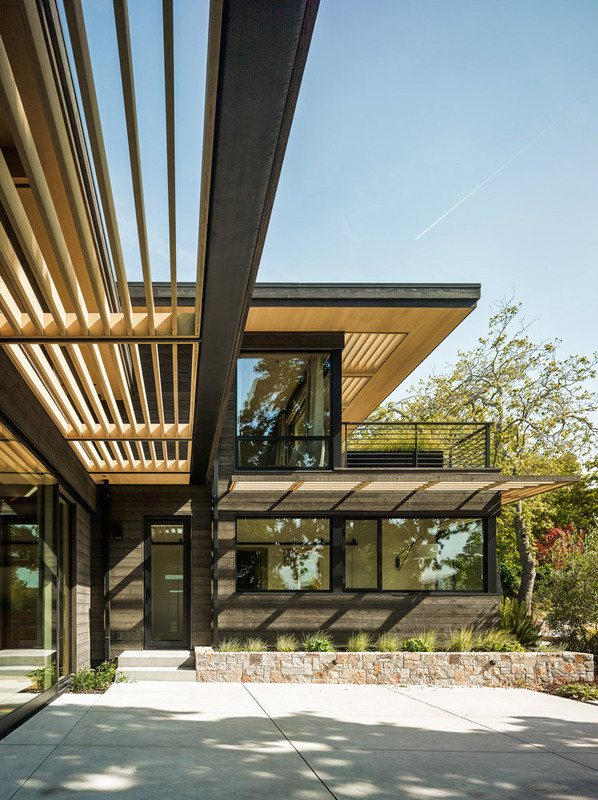 Their passion for the project brought new depth to the collaborative design process and fostered an open and honest dialogue with the architect to sculpt a coherent reality from the desires they originally expressed. 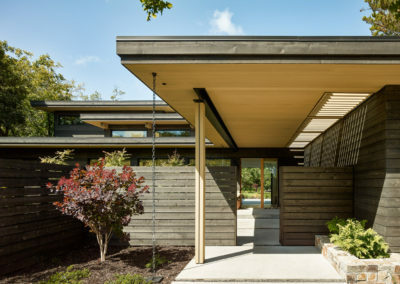 The design features a modernist H-plan, where the home’s central leg connects its two wings both physically and visually. The three sections cloister a central patio accessible from each wing, creating the hearth of the home from an outdoor living area that flows into a lush lawn populated by oaks and redwoods alike. 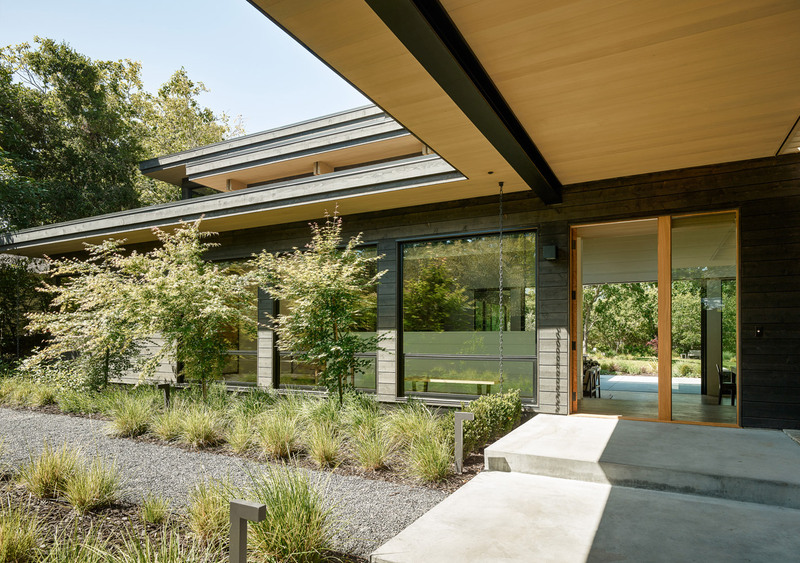 The house’s central leg combines the living room and the dining room into one double-height great room whose sliding glass doors scale back to open onto the patio. 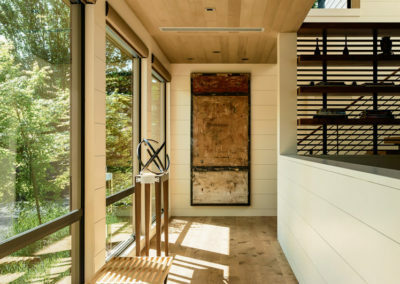 A sunken family room adjacent to the kitchen provides a casual communal space, and a more private bedroom wing houses the kids’ rooms and an office on the main level with a quiet master suite above. 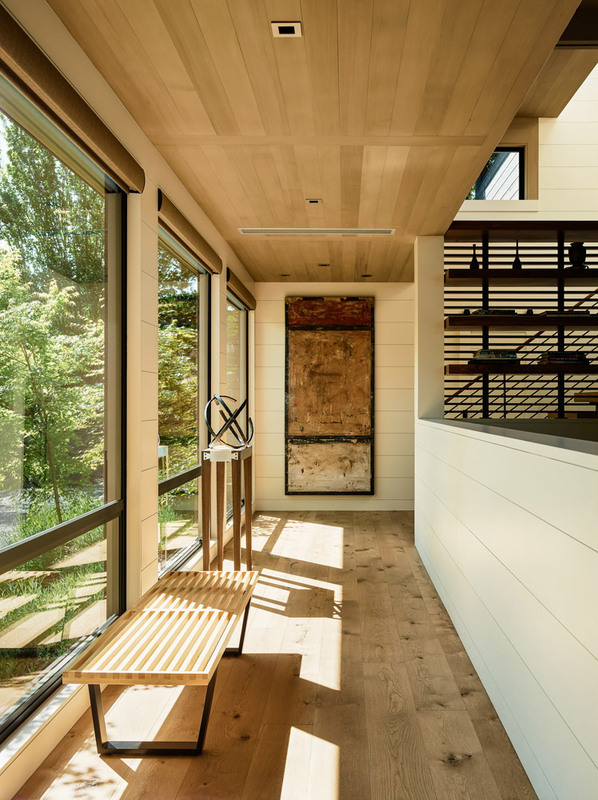 Throughout the home, subtle level changes indicate a hierarchy within the spaces and allow for a greater ceiling height towards the rear of the house. 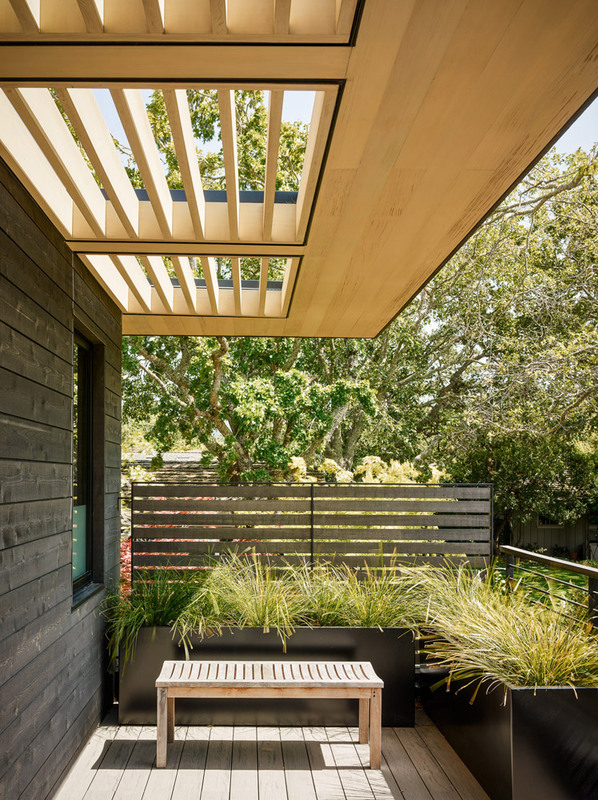 Across the yard, a casita offers friends and family privacy during visits and gives purpose to the back of the site. 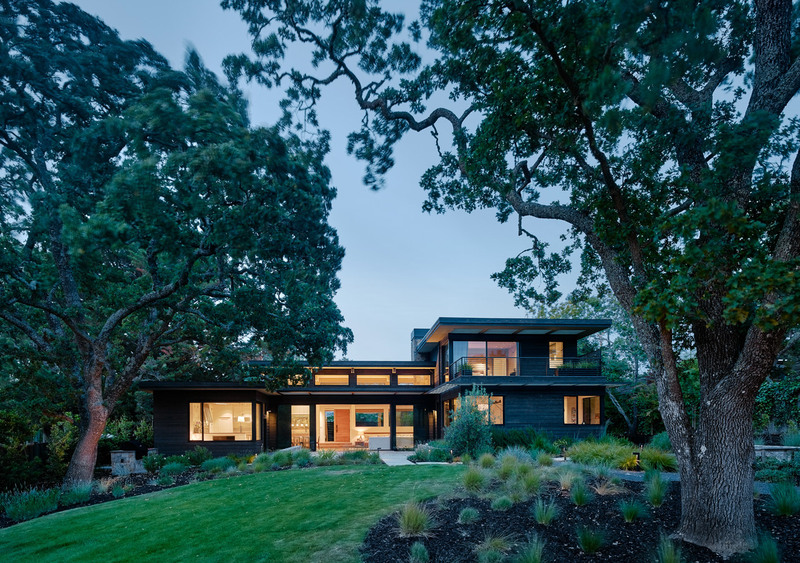 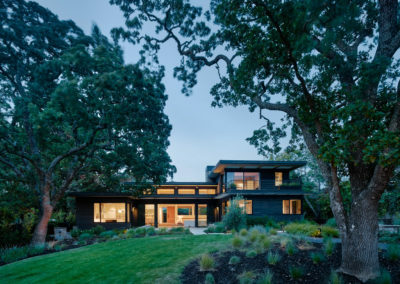 A material palette showcasing black-stained cedar siding allows the house to sit subtly beneath the green canopies and shadows created by the oaks and redwoods hovering at the fog line. 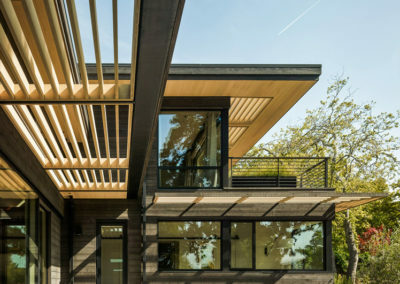 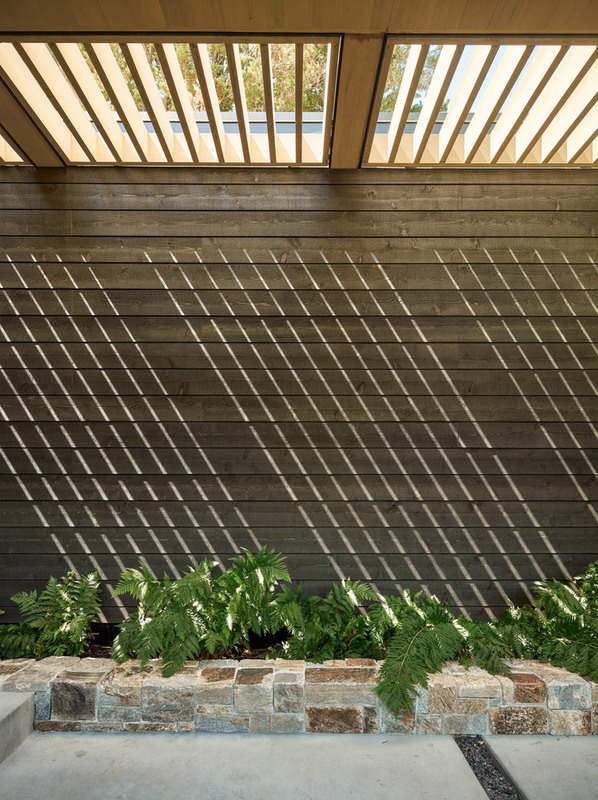 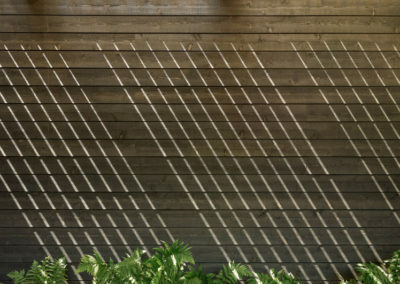 Discrete from the road, the home features lighter wood sunscreens integrated into its rear façade that both contrast with the cedar themselves and filter sunlight into defined strips against the dark façade.